Normally you associate Denon with those high quality hi fi units that only those with an above modest income can afford, a market leader along with a name that’s recognised for quality. 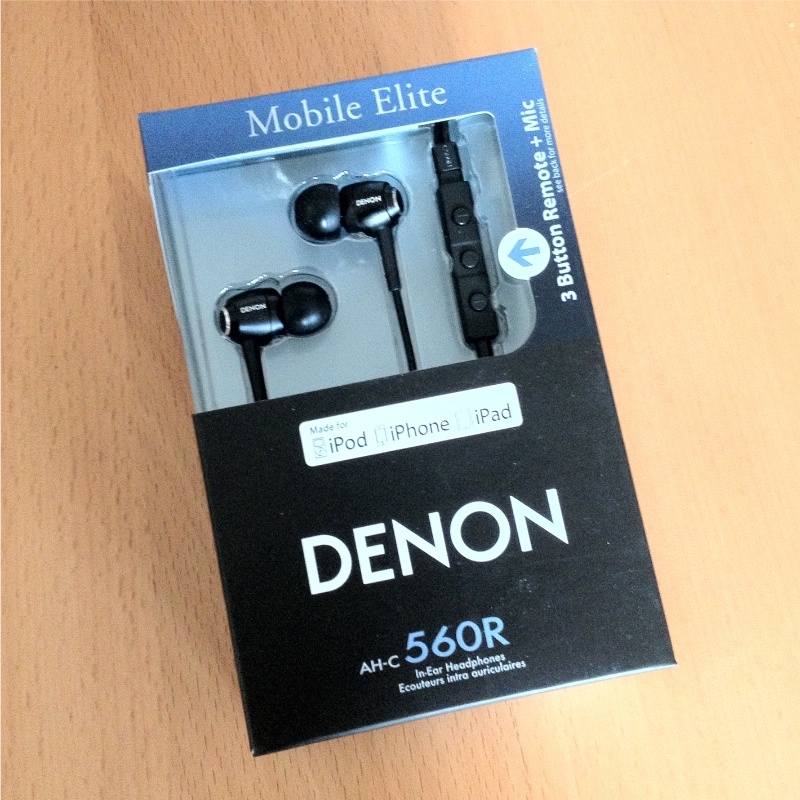 Surely headphones from someone as established as Denon couldn’t disappoint could they? It turns out they can and it all starts from the moment you get them out of the box and line them up against some competitors. I’m wondering if somebody made a mistake when measuring the length of the headphone cord. Did they measure it in inches rather than centimetres. 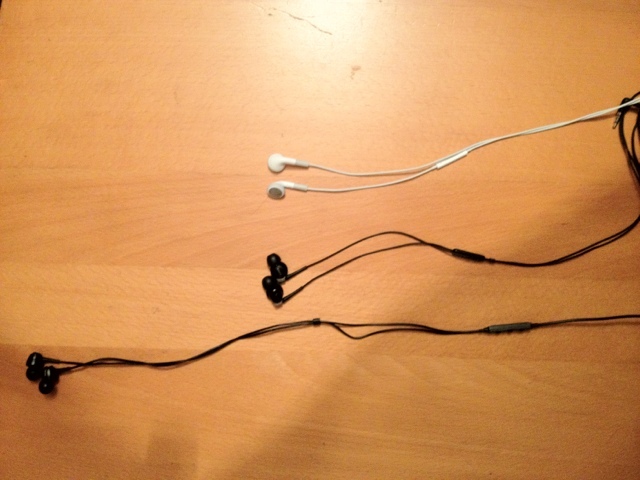 Take a look at the picture below comparing three of my headsets currently in use. At the top we have the standard Apple headphones followed by the Sony DR-EX300iP and then finally the Denon AHC560R at the bottom. The idea had been to do a full on blown review but this was canned on the first car journey with the Denon headphones. The same feedback was given to me by all my friends that I called during for testing purposes. They couldn’t hear anything or what they could hear was incredibly faint. The headphones were defeating the point of being hands-free as I had to hold them microphone closer to me to stand any chance of having a meaningful conversation. Yes the sound is better for music and blaa blaa blaa but I bought these because I’m on the road a lot and I need something that’s good quality, no fuss and works. Like I said earlier it looks like someone was using measuring in centimetres and the other person was using inches when in production. Ever present during phone calls is the scratching and echo from the microphone which reverberates into your ear the moment it touches anything, made entirely worse by the amount of cable on these headphones. The AH-C260 headphones have a branch point adjustment function with slider, to take up slack in cables between the branch point and ear pieces. Someone has just marketed the hell out of that slider bit which stops cables flapping everywhere. Looks like i’ll take the jump to the Sennheiser MM 30i Ear-Canal Headset next.